Alexia Weill debuts in New-York City from October 19 to 25 at 287/LES. 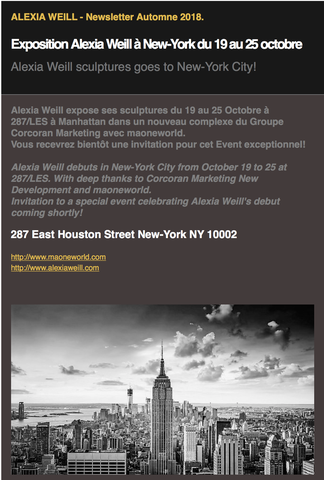 With deep thanks to Corcoran Marketing New Development and maoneworld. Invitation to a special event celebrating Alexia Weill's debut coming shortly!